Finally I have some free time, now that I have passed all the exams for my tuition and the only thing left is the diploma thesis. Some of you remember the Original Multicapsule Ships idea in my blog and in the Black Pearl Project presentation site. It has now evolved a little. Follow the link to refresh your memory. It’s a long read, be warned. Right now I will share my new thoughts about this. Back on the Multicapsule Ships idea. 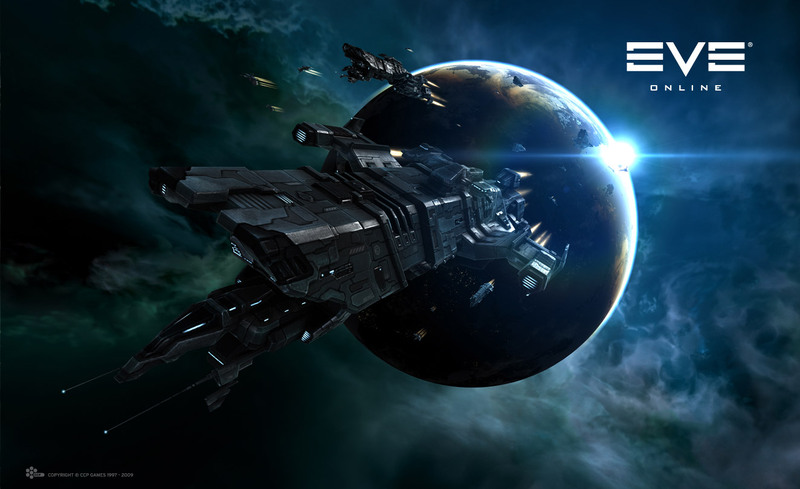 It’s clear that I don’t really have the knowledge and experience as a capsuleer and so I am not in the position to give advices and ask EVE Devs to consider Multicapsule Ships as an option. This will change with time. Until then I will be sharing my thoughts here. Any constructive critiques, opinions and ideas will be highly appreciated. In the original idea I imagine Multicapsule Ships of different sizes, capable to store different number of frigates and capsules. Small – they can store 4 frigates in Deck and 5 capsules in Shell. 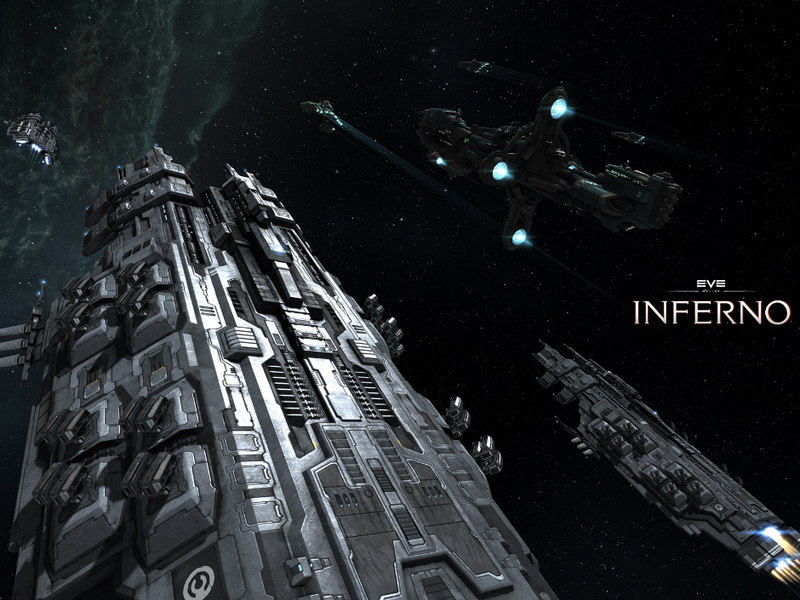 Medium – they store up to 6 frigates and 7 capsules. Large – they store up to 8 frigates and 9 capsules. This evolved in a much better concept. The new proposal is that Multicapsule Ships would have a special Bay Slot. In this slot Captains would be able to fit Bays of different sizes - something like a Bay Subsystem. Multicapsule Ships Bays consist of a Frigate Deck, where frigates are stored in small docks, and a Shell, where Crew capsules are stored. Different Bay Subsystems would affect the ship appearance, just like subsystem combinations for Tech 3 ships. This will allow the captain to choose the right Bay, corresponding to their Crew size. Bay Subsystems would vary of size and each one of them would be able to store different count of Frigates in the Frigate Deck and capsules in the Shell. This would allow the Multicapsule Ship Captain to fit the ship with a Bay that precisely corresponds to their Crew count and will add the option to adapt when new Crew members join them. This is a serious question. And right now I think that it would be good if Multicapsule Ships would fill the role of a new class of Exploring Ships, or maybe something like a multipurpose spaceship platform, capable to withstand extremely harsh conditions without the need to dock into a station. Multicapsule Ships would be these larger-than-a-frigate Exploration ships, especially designed to go where no one else has dared to go – deep in the Unknown reaches of Space. The so called Uncharted Space. They would be able to equip specialized High Slot Telescopic Modules, capable to scan distant stars and detect if they have orbiting planets with moons, asteroid belts and other interesting stuff around them. These modules would be able to scan a selected area of the sky and detect solar systems. Once they discover a suitable solar system, they would be able to send groups of special drone-probes equipped with advanced warp drives that allow them to reach the nearest orbital body of the new system in a matter of days or weeks (their irrelevant mass would allow faster warp). The drone-probes would be specially designed to form joint formations and create a limited cynosural field so that Multicapsule Ships can reach the system and explore it. In addition to that Multicapsule Ships would be able to equip Micro Factories. They would allow the Captain and Crew to produce their own ammunition and modules on the fly, without needing to dock in a Station. Of course these factories would be greatly limited, but they would ensure their Crew survival. First off, they would be able to claim their own virgin territory and obtain the valuable untouched resources and if they create a safe route back to Known Space, they would be able to contribute to their Corporation by strengthening it. In addition, when working together, they would be able to secure a vast region of Uncharted Space and build their own empire. Using specialized devices, they would be able to conceal the celestials orbiting the stars, making it nearly impossible for other people’s Telescopic Modules to detect them and so, making them look line non-interesting places to visit. For the lone Explorers, there would be hidden treasures among the distant stars. Some storyline, some unique items, probably remnants of ancient races, there would be Escalation in these sites, leading these explorers deeper in the unknown. There might be some Live Encounters with ancient races like the Takmahl, Yan Jung and Talocan. Maybe they would find some Jovians or Sleepers. Or even Sansha Nation! They may find some remnants of alien technology, adding pieces of the storyline puzzle. They would find rare anomalies, archaeological sites, hidden pirates, wormholes and so on. There are many options here, depending on how deep we want to go into this. That’s it from me for now. Will write again when I have more. EDIT: The idea evolved further. Check it here.